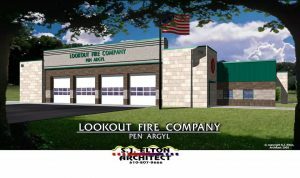 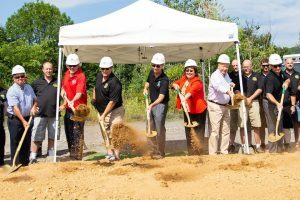 Pen Argyl Borough holds Ground Breaking Ceremony for New Fire Station. 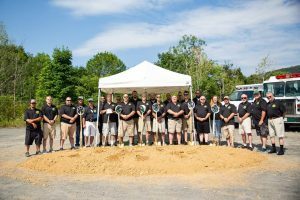 On Saturday July 14th, members of the Lookout Fire Company #1 attended the ground breaking ceremony of a new fire station. 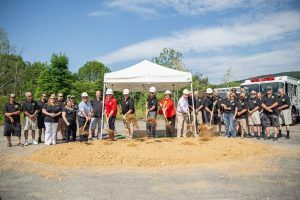 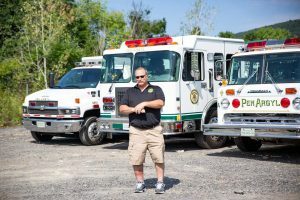 The planned 15,800-square-foot building will include a garage with four bay doors, it will be big enough to hold six trucks, a training room, workshop, lobby, offices, firefighter equipment room and social hall with a kitchen and pantry. 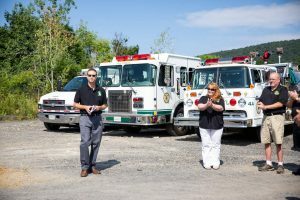 We can not begin without thanking Pen Argyl Borough Council, that has been working hard with us for years and making this vision a reality. 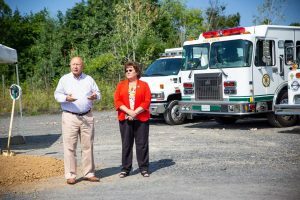 A big and special thank you to State Representative Marcia Hahn and State Senator Mario Scavello, who without your support and dedication this project would never have been possible. 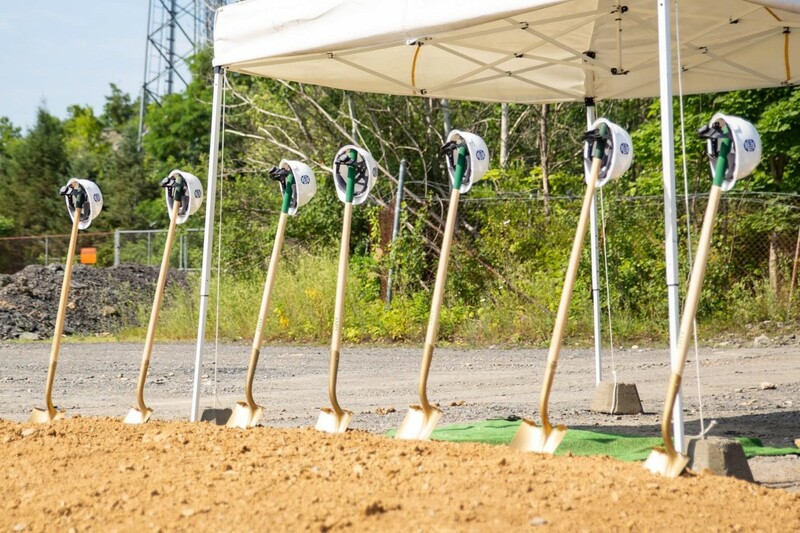 Also to Steve Elton of S.J.Elton Architect for designing of the station and helping us along the entire way. 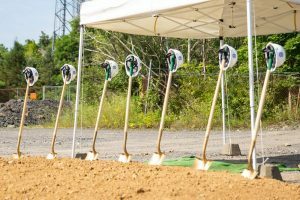 And congratulations to Nu Cor Management, Inc. of Wind Gap, who was awarded the bid to complete and build our new station!